SUBSCRIBE TO OUR NEWSLETTER NOW AND GET A 5 EUR COUPON* FOR FREE! Your data will not be given to third parties. You can unsubscribe from the newsletter any time you like. How do I unsubscribe? 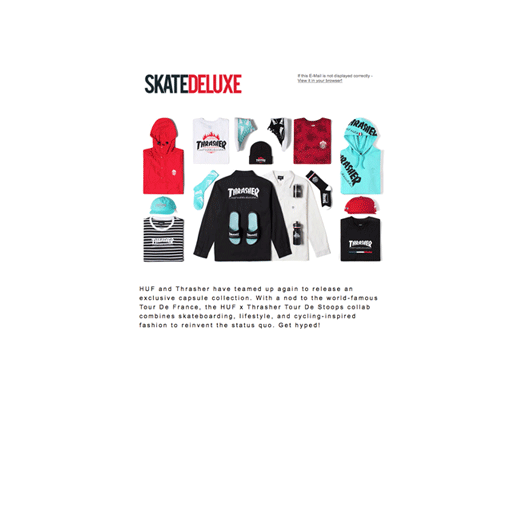 Always stay up to date and discover the newest trends for shoes, streetwear, skateboarding and snowboarding. Never miss out on a discount special! * The coupon is valid if your merchandise value is above EUR 30. It can be redeemed in the shopping cart, but it cannot be used more than once per customer and order. Cash payment or combination with other discount specials is not possible for the coupon. All offers only while stocks last.